Peña-López, I. (2016) “Communication at IDP2016. 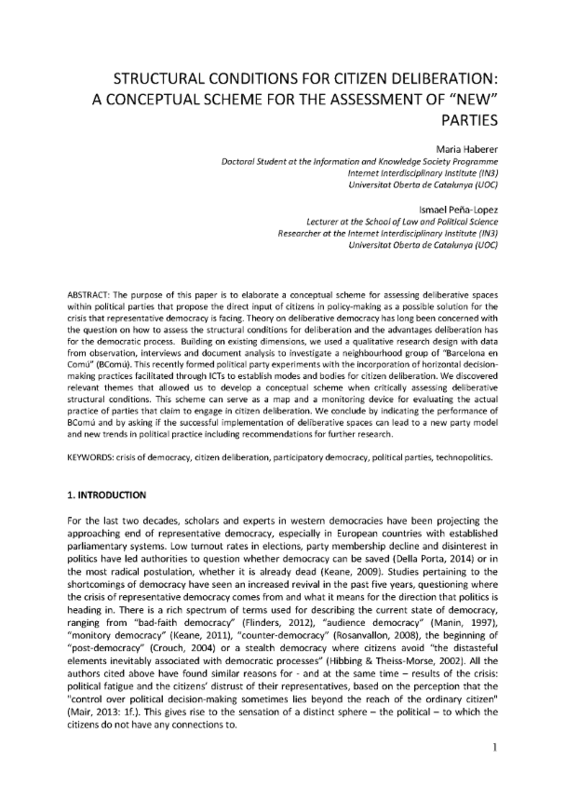 Structural Conditions for Citizen Deliberation: A Conceptual Scheme for the Assessment of “New” Parties” In ICTlogy, #152, May 2016. Barcelona: ICTlogy. Next post: Communication at IDP2016. Activismo desde el consumo cooperativo de productos agroalimentarios: ¿Economía alternativa o tecnopolítica?